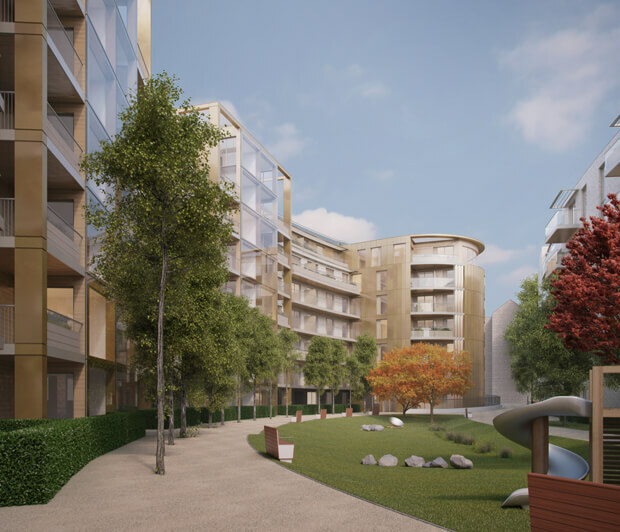 Tavistock Gardens is a residential development site of approximately 2.5 acres assembled by Kitewood over a period of 10 years. The location is superbly connected in the centre of West Drayton and within 200 metres of the new Crossrail station which will provide journey times to the West End of just over 20 minutes. Planning consent has been granted for 308 apartments of which 46 will be affordable and 64 m2 of space for D1 use. Agreement has been reached with Redrow plc for the sale of the site and development of 66 units which Kitewood will retain for investment. Construction has commenced on site.